Summer is officially here, and while that means road trips, family vacations, and spending time outdoors, it also means hot cars and sticky seats. Your vehicle spends more time parked than running, which means it spends a lot of time in the hot summer sun. Use a sun shade. When you’ll leave your vehicle parked for more than a few minutes, put up a window cover or sun shade. 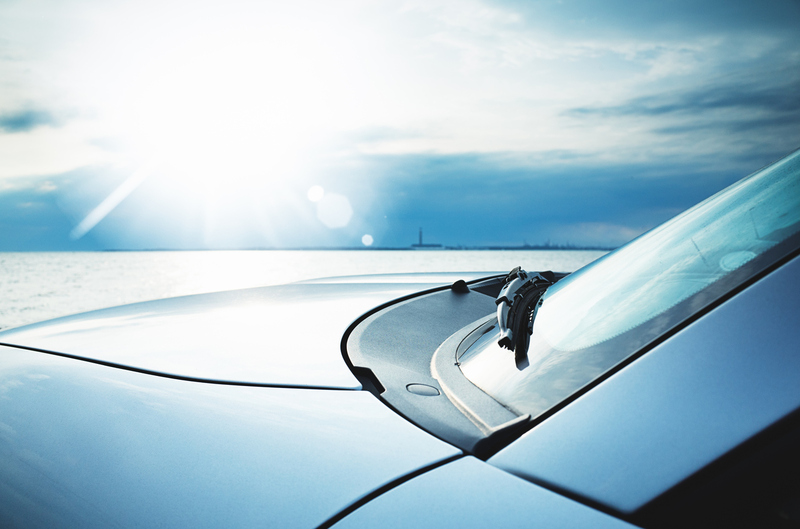 The shade will reflect away sunlight, keep the interior cool, and protect the dashboard from damage from sun exposure. Cover leather seats. Leather and vinyl seats can get very hot in the sun and be very uncomfortable against exposed skin. To keep your seats comfortable, cover them with a blanket or towel when you park your vehicle. Crack the windows. A little air flow can make a big difference. Don’t leave the windows all the way down – an inch or two is enough to provide ventilation. Park in the shade. If there is a covered parking garage or a space protected by the shade from a tree, snag one of those parking spots. Shade can account for a temperature difference of up to 10 degrees and keep your vehicle cooler out of the direct sun. Don’t hurry. When you get back to the car, open the door and let the hot air escape for a few seconds before you climb inside. Do you have other tips for keeping your car cool in the summer? Let us know on our Facebook page. Make sure your vehicle can keep you and your passengers cool on the road too. If your air conditioning is struggling to match the heat, bring your car into Foreign Accents for a vehicle air conditioning inspection. Our experienced technicians will test the A/C in your car to make sure it is in the best condition to keep your car cool this summer. If you have questions about your vehicle or the air conditioning, call our team at 336.294.2137!